Asides air, water is one of the most important gift God blessed us with. Its what we cant do without and can be used to do virtually everything, cooking , bathing, washing, drinking(name it). According to research, its healthy to take at least 3 litres or at most 6 litres of water daily( I lie?). There was a time I tried to work on it and the result was obvious on me. Yes! My skin glowed, thats one of my little secret. Asides that, there are other benefits of water to our health which we all know. It wasn't so easy for me cos I had to pee almost everytime. What I was more concerned about was the result but I had to do some calculations cos at a point, it wasn't easy visiting the loo. To ease myself off the calculation of litres, I drink 5 sachet of pure water daily, 100cl makes a litre, from 5sachet of litre, I get my 3 litres daily. For those who use water dispenser, its easy. Just get a bottled water , drink and refill. Someone might say its Easier said than done, no worries! I've got tips on how to drink it with ease. 1. 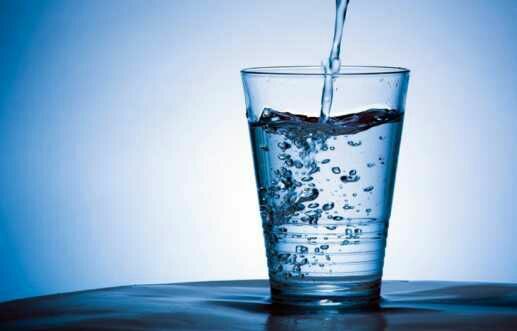 Drink a sachet of water or more as soon as you wake up. It works easier for me after I brush cos if I drink before I brush, might end up puking. 2. Take little sips or drink more when you're tasty. Before I left my job for NYSC, I buy four sachet of pure water. It works for me when I sip especially while working. I finish a sachet once when I know I'm really slowing down. 3. Calculate well. If you don't wanna go beyond 3 to 4 litres, calculate and stick to it. 4. Set a reminder. When I started work, at times I don't eat till I leave, most times I get biscuit and I'm okay. It might seem eeeew! to you setting a reminder but when you're game, it works. 5. Add a flavour of your choice or any fruit. Aanyone tasted water that is soaked in cucumber? Jeeez! It tastes great to me. You could squeeze little juice from lemon or anything just to make it taste different. This would work for me only with our sachet water... Thanks for the tips.